Grey aluminium metal windows and doors ideal for this architectural Kent home. Metal windows of one specific type have made a comeback in the last decade: aluminium. This project in Kent saw us install aluminium metal windows, doors, bifolds, an aluminium roof as well as a Hormann entrance doors. This project arrived with us through an architectural company for whom we carry out a lot of work throughout the South East. These projects are often of a modern aesthetic and there is always the demand for slim aluminium frames on the windows, doors, sliding doors and bifolds as well as great thermal u values and security standards. As usual, the project comes in the form of a large pile of tender documents ready for pricing. After a few questions, we got everything priced in the designs and specification as they were drawn. As is often the case, we made a few suggestions of slight changes that would maximise glass sizes, whilst still adhering to all building regulation requirements such as trickle ventilation and fire egress. These suggestions go a long way to the end client. 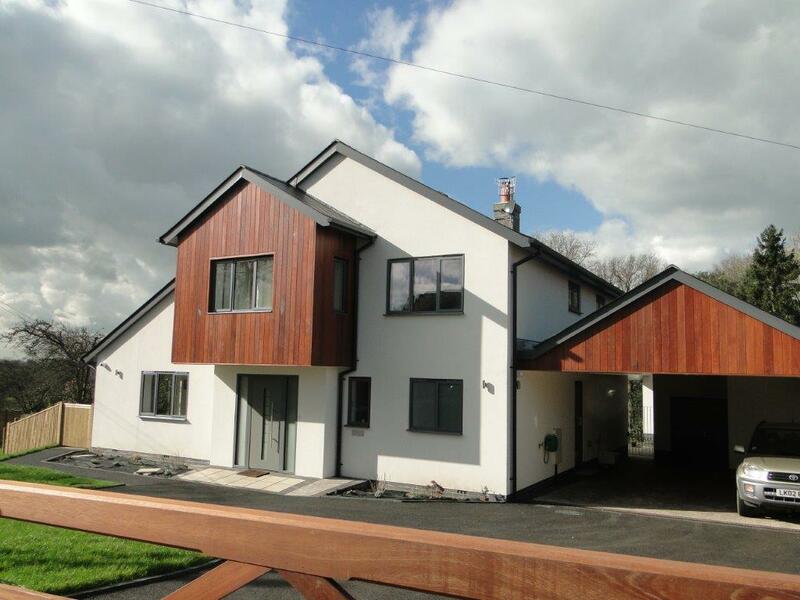 We quoted our Smart Alitherm 300 windows, Visofold 1000 cornerless bifolding doors and a Hormann front door. Once we has the basic window and door designs were sorted, we moved onto the two key features of this property. First were the aluminium cornerless bifold doors and second was the Hormann front entrance door. The aluminium cornerless bifolds are something that has only been developed and released to market in the last couple of years. We have been able to supply two aluminium bifolds that meet at a corner for a long time. Now we can install two aluminium bifolding doors sets that not only meet at the corner, but can both be opened to leave the ground floor corner of the property totally open. This adds to the seamless transition from inside to outside. The Hormann entrance door was decided after a look at our Hormann brochure, which can be downloaded here. We matched the RAL colour on the Hormann front door with the rest of the aluminium doors.